Wheat Flour, Butter (Cream, Salt), Pumpkin, Sugar, Evaporated Milk (Milk, Dipotassium Phosphate, Carrageenan and Vitamin D3), Sugar Yolk (Egg Yolk, Sugar), Fructose, Water, Sanding Sugar (Sugar, Carnauba Wax), Egg Whites, Egg, Corn Starch, Modified Corn Starch, Tapioca Dextrin, Nonfat Milk, Salt, Spices, Annatto (Color). Preheat oven to 325°F. Remove from outer packaging and paper tray and place on a baking sheet, about 2 inches apart. Heat for 8 to 10 minutes, remove from oven and serve. Leave in packaging and sit on countertop for about one hour, open and serve. 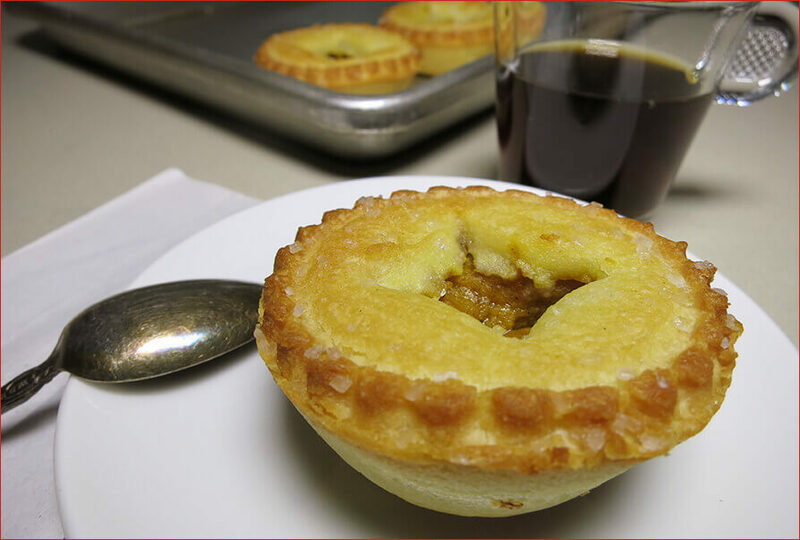 Preheat oven to 350 F. Remove thawed pies from packaging and paper tray. Place on a baking sheet, about 2 inches apart, and bake for 3 to 5 minutes or until warmed through. Serve immediately. These Mini Pumpkin Pies from TJ’s are as tasty as they are adorable. First off, they are perfectly sized to give you a satisfyingly sweet (and reasonably sized) treat – though they are arguably (and dangerously) just poppable enough to be binge-worthy. We found the crust to be tasty, flaky and well seasoned – and the crunchy sugar dusting on top gave this dessert a welcomed texture. The creamy center is just delicious. It has the perfect pumpkin flavoring. One slight nuisance: we found it tough to cook these little guys just right so that they don’t come out of the oven a bit soggy. Baking them on a wire mesh sheet might help. Even still, they tasted good just the same. We think you’ll enjoy these tiny pies – they’re great to have on hand for impromptu entertaining (they pair perfectly with espresso), or for when you want a small, satisfying treat. Enjoy! 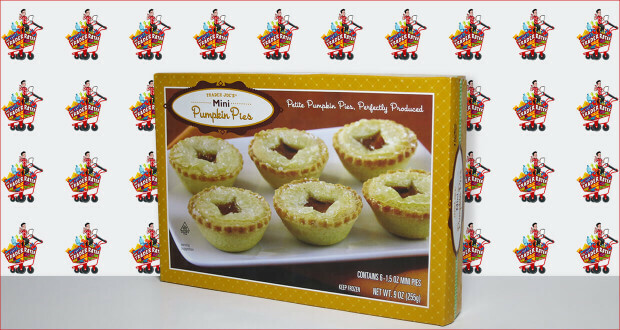 Summary : These Mini Pumpkin Pies from TJ's are tasty AND adorable. They are a perfectly sized treat you're sure to enjoy!